In a time when more and more people are asking how they can improve their brain fitness, PlayWithYourMind.com has emerged as an answer to that question. With over 100 different original games, puzzles, and other exercises to train the brain, PlayWithYourMind.com is one of the preeminent destinations on the web for cognitive training and mental fitness. A sharp and healthy mind has never been so accessible. Over the past couple decades, our understanding of the brain has gotten a makeover; rather than the static model previously postulated, science has now conclusively demonstrated that the brain is dynamic and ever-changing. The organization and capabilities of the mind are largely shaped by experiences, and this sculpting that begins at birth continues throughout old age. This process is called neuroplasticity, and it’s a beautiful thing. It’s the process responsible for the development of a child’s mind, the dramatic recovery of patients debilitated by strokes, and the cultivation of genius, among many other amazing feats. It’s also something that everyone can take advantage of to become more clever and capable; whether it’s baby boomers looking to stay sharp, professionals hoping to improve on-the-job performance, students looking to improve their grades, or the average person just trying to grow a little smarter, brain exercise can benefit just about anyone. As a result of this new understanding of the brain, the past five years have witnessed the emergence of numerous different studies touting the potential of brain exercise. Countless different brain training products have followed, each hoping to capitalize on this movement. These days, it seems as though a new brain fitness product emerges every week. With so many options now out there on the market, how can a potential customer hope to choose the right one? Several things set PlayWithYourMind.com apart from the various other websites offering brain fitness games. First of all, there is its diversity. Play With Your Mind has games to exercise your verbal abilities, problem solving skills, memory, attention, visuo-spatial skills, eye-hand coordination, processing speed and various other aspects of your cognition. Secondly, there is quantity: between the word games, logic puzzles, brain fitness program, memory workout exercises, puzzles & brainteasers, Play With Your Mind offers over 100 original mind games. Thirdly, it’s about personalization, as all the brain fitness games and memory exercises can be customized to an individual user’s needs and abilities. And lastly, it’s cost: PlayWithYourMind.com is completely free. Additionally, PlayWithYourMind.com offers more than just brain games. It’s also a great place to learn the about the latest findings in neuroscience, pick up some brain fitness tips, or learn about other websites and resources pertaining to cognitive health. Webmasters or bloggers can get brain games to include in their sites in exchange for a link; or customized games are available for licensing. Founder Alex Colket is passionate about neuroplasticity and unlocking the potential of the mind, and this passion is visible in the numerous offerings and activities available on the site. Hi can anyone suggest any interesting websites with games, quizzes or anything fun? Question by jean: Hi can anyone suggest any interesting websites with games, quizzes or anything fun? I also need websites which has health and fitness articles. I recently came across Self.com and yahoo shine and I want something similar to it. Thank you. The NoteNiks Healthy Eating & Exercise CD-ROM, has been selected as a recipient of the Institute for Childhood Resources Dr. Toy Smart Play/Smart Toy Product of Excellence Award for 2006. The CD-ROM, which debuted earlier this year in partnership with software design veterans NoteNiks.Net, is the first piece of educational software that teaches children ages 3 – 8 the importance of selecting healthy foods and keeping active. 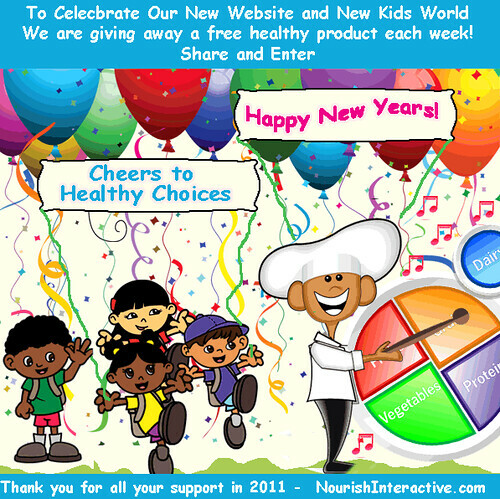 To celebrate this award selection, and a similar award from iParenting Media, the NoteNiks.Net team has just released upgraded ( v.1.1) release of the Healthy Eating CD that offers an all new class curriculum which helps educators and parents alike share healthy eating lessons with their children both on the computer and off. VendorNation.com, a proud partner in NoteNiks.Net, is proud to have been providing you the very best in software sales and service since 1994. We specialize in the presentation, sale, and fulfillment of high quality independent software for the astronomy, game, and business communities. Our strength comes with the human touch. Developers that share software with our community are supportive and involved in their offerings and your VendorNation.com staff is always on tap for your questions and support. Describe the occupational health and safety issues relating to playing computer games for several hours a day? Question by John Greg Amores: Describe the occupational health and safety issues relating to playing computer games for several hours a day?